Tripp Lites SMART500RT1U intelligent, line interactive rack/tower uninterruptible power supply prevents data loss, downtime and equipment damage due to power outages, voltage fluctuations and transient surges. Requires only one rack space (1U) in a 2 or 4 post rack, with included accessories for upright tower placement. Large internal batteries offer 8 minutes half load runtime and 3 minutes at full load. Maintains regulated 120V nominal output without using battery power during brownouts as low as 90V. 500VA/300 watt power handling capability is compatible with networking, telecom and other sensitive electronic applications. Includes 6 UPS supported outlets with a single outlet load bank that can be individually controlled via software interface to reboot select equipment on demand or shed less significant loads to extend battery runtime for more critical equipment. Includes 1 surge-only outlet for peripherals not requiring battery backup. Supports simultaneous remote monitoring of UPS and site power conditions via built-in USB and DB9 monitoring ports. Includes PowerAlert UPS monitoring and unattended shutdown software with complete cabling. Built-in accessory slot supports SNMP with optional SNMPWEBCARD adapter. Emergency Power Off (EPO) interface offers option for instantaneous power-off of UPS and connected equipment in the case of fire or emergency situation. Multi-function audible alarms and set of 5 front panel LEDs offer at-a-glance notification of UPS and line power status. Network-grade AC surge suppression protects equipment from damage and performance problems resulting from transient surges and line noise. Attractive all-black color scheme. Two year warranty with $250,000 connected equipment insurance (USA & Canada only). 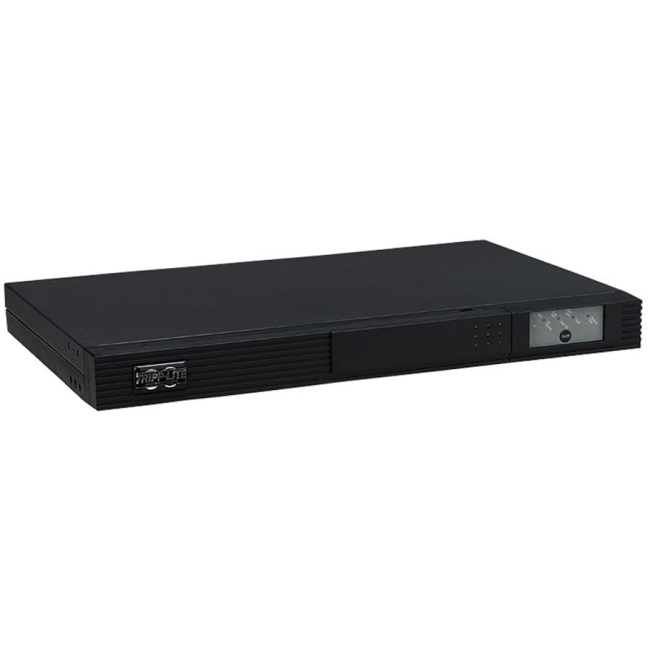 Ideal for protection of fileservers, network accessories and telecommunications equipment in server rooms, internetworking closets, co-location racks, kiosks and a variety of other locations. Common applications include any mix of servers, workstations, hubs, routers, concentrators, IP telephony and traditional PBX switching systems.